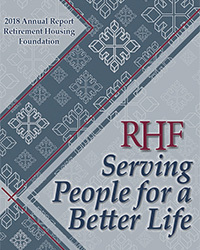 RHF has published two official works. 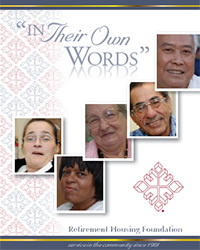 “In Their Words” includes stories told firsthand by RHF residents, and “RHF Serving People for a Better Life” includes RHF’s 2018 annual report. A collection of stories from our residents about how living in an RHF community has impacted their lives, included are stories from our volunteers and staff on what the RHF Mission means to them.